Something that's cool! : Doom Turned 21, Play Doom Online! Doom Turned 21, Play Doom Online! 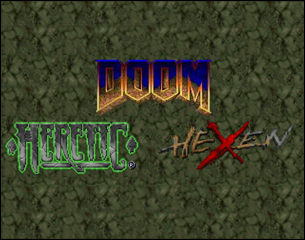 Doom, Heretic and Hexen - Play the demo version of three remarkable FPS games based on id Software's first generation Doom engine in your browser! The games are ported to Flash by Newgrounds admin mike with Adobe Alchemy, using the original source code of the games. Different from the Doom Triple Pack which uses orignial game code and offical assets, this game uses custom made game resources.